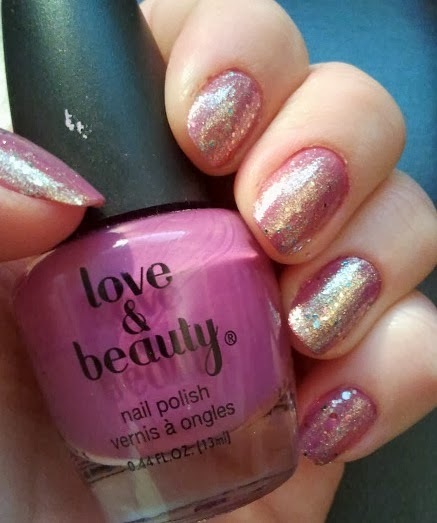 I'm wearing a purple polish from Forever 21 underneath (it doesn't have a name or a number). 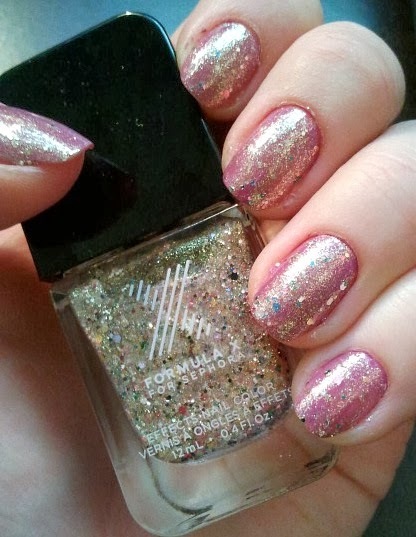 "Light My Fire" is a beautiful shimmery, glittery topcoat. 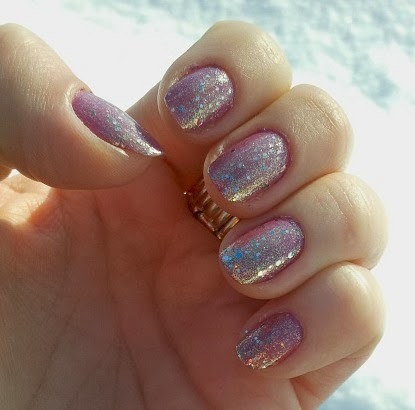 It transforms any plain nail polish into a fabulous new colour. 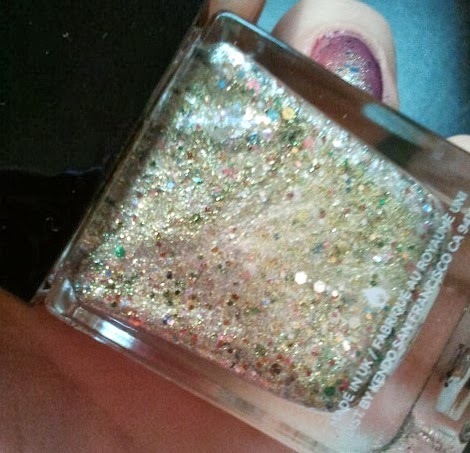 It contains various sizes and colours of hexagonal glitter flakes, with a base of shimmery golden dust. It's simply too pretty to pass up! !